From crackers to cheese, maple syrup to olive oil, Savör offers a wide variety of high-quality, natural, and organic products to stock your pantry, fridge, and freezer. snacking & recipe-making easy and delicious. Delicious & nutritious - These healthy kitchen staples convince right down the line. Fermented, processed & packed in Greece. Halkidiki olives have a simple salt brine and a touch of lemon to bring out their true flavour. Perfect for salads, pastas, pizza, or an antipasti platter. 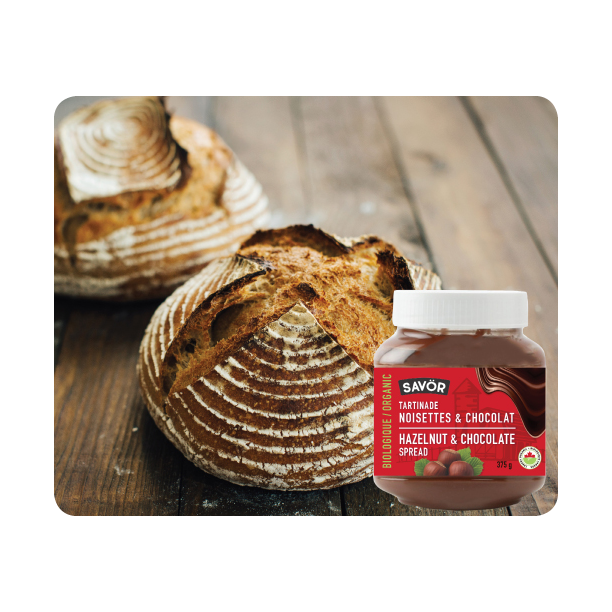 Indulge yourself in the real taste of chocolate & hazelnut in a spread! Creamy and generous spread ideal for breakfast or as a snack. Savör Organic Maple Syrup brings out the best in your family’s breakfast. Use as a wholesome sweetener in your favorite dessert recipes, or drizzle on top of pancakes, waffles or oatmeal. Because of its origin and particular composition, Savör Olive Oil is excellent both for seasoning and cooking, with sauces, dips and raw vegetables. We at Savör are committed to offer high-quality, organic, and natural products that spice up your shelves and daily meals. deserves to have healthier food options.